I love this photo! General’s expression is priceless, but so is Uncle Nelson’s. 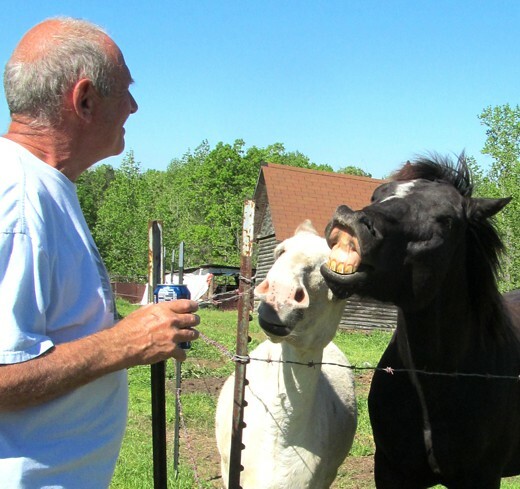 I think the photo is beyond funny with the interaction between the man and the horse, but the sad sack in the center just shows the donkey knows how to pout!